From the intersection of SR 7 and SR 72, southeast of Kingwood, follow SR 72 south for about 4.2 miles. Just before you cross the small bridge at Pringle Run, there is a dirt road going off to the right. It's a pretty steep climb. Park at the bottom of the road and follow it up along the creek about .25 mile and scramble down to see the falls. It is visible from the road, and you can hear it as well. 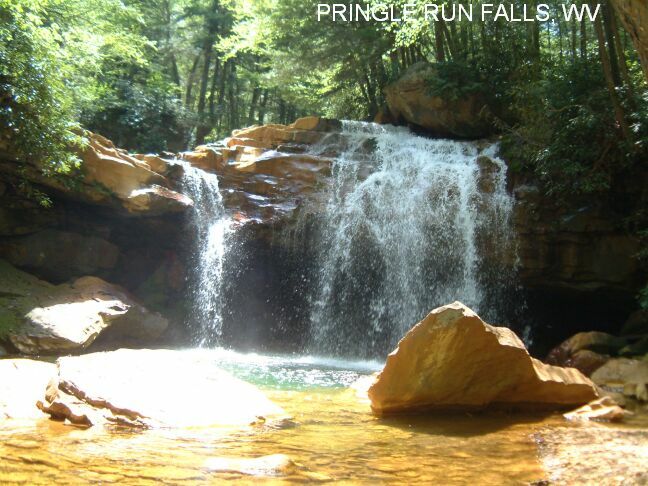 FYI, the access to Pringle Run Falls has been closed off. It is on US Army property. It has been vandalized and the access is now closed. They are issuing trespassing tickets there.